Originally, Restore the Trust and Respect in Relations Center. Carion was born from a simple observation. Home services offerings were not really readable and often random in their execution. What do you think of plumbers or locksmiths ? Are you happily satisfied with your house-keeper ? In what services can you really trust when your “home” is directly concerned ? Finding the right people requires a lot of time or a lot of luck. Through Carion, we want to re-create this confidence and give you the guarantee that you will be really supported daily. Care is giving true attention to others. Kindness and honesty are so rare that they have that much more value. When these qualities are shared, everyone enjoys, everyone becomes richer ! Educated and with enthusiasm and empathy, Marie- Pierre has a strong practice in driving innovative projects, electronic payment solutions and public sectors. CEO of Carion, she is in charge of the relationship with strategic partners and business development. In many situations in our daily lives, we can feel ourselves in situations of vulnerability, potentially victims of the malice of others. The examples are numerous : a rude taxi driver, a dishonest craftsman, a bad faith insurer, an aggressive passer-by … We all face these abuses and these incivilities. 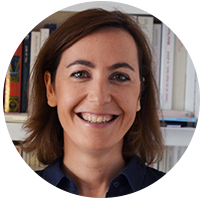 Parisian geek, monomaniac of quality service, Pascale is a former investment banker and now CFO. Co -founder of Carion, she is responsible for its financial strategy to secure the implementation of the development plan. 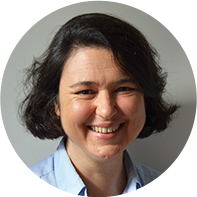 Pascale is also responsible for labeling Carion providers. By creating Carion, we want to change things by offering reliable, competent and courteous professionals, in whom you will be able to completely trust. We will ensure that they make your life easier and more enjoyable. They are Carion favourite partners. Competent men and women, selected by Carion on their expertise and their know-how. Why do we recommand these professionnals ? Depending on your needs and your availability, Carion directs you to the nearest and most expert Carioneur. Of course, you can also choose yourself according to your own criteria ! How do our services change lives ? We bring you all the solutions for your various situations, thanks to the personalized study of your needs. This personal record is completely free and without obligation. How do we differ with service companies in your neighborhood ? Carion provides personalized solutions in regular or at random fashion, without commitment on your part and without steps to take. Our stakeholders are assessed for each intervention. Selection criteria in the Carion network are strict: an unsatisfied client will result in the end of the registration. What is the difference with artisans, plumbers, electricians, painters , etc.? Our professionals offer a variety of skills and operate on small jobs that other artisans do not support or for which they charge you too much. And with our approval ” Personal Services “, our rates are divided by 2 through the 50% reduction of taxes. Who are the professionals involved with you? Competent men and women, selected by Carion for their expertise and their know-how. They manage their own business and are current on all their social and tax returns : this is the reliability guarantee. They subscribe to professional insurance which comes in addition to Carion’s own security guarantee. They signed our Charter of good behaviour : satisfaction guarantee. They live near you: availability guaranteed.Des femmes et des hommes compétents, sélectionnés par Carion pour leur savoir-faire et leur savoir-être. They signed our Charter of good behaviour : our satisfaction guarantee. What guarantees do we offer ? By what means can you pay the benefits ? For your convenience, we have implemented the most common secure means of payment : credit card, CESU, check, bank transfer. Why do we have competitive rates ? Our prices are calculated accurately for optimal performance and allow you a 50 % tax reduction. To convince you, you can submit other quotes to us and we will be sure to bring you better service for a lower rate.